"Our defence forces are ready to take on any eventuality," Arun Jaitley said without making any specific reference to Doklam. 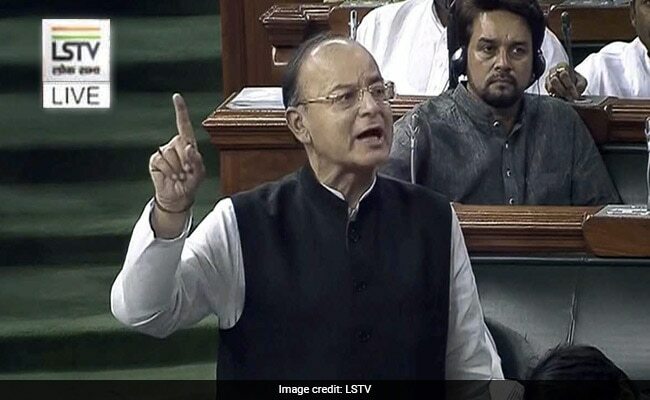 New Delhi: The armed forces are prepared to face any eventuality, Defence Minister Arun Jaitley today assured the Lok Sabha amid the ongoing standoff between Indian and Chinese military in the Doklam area. In response to a question on reports of troop movements in Tibet by China amid the on-going Doklam standoff and a senior Army officer's statement that Pakistan's defence industry was better than India's, Jaitely said the armed forces have adequate defence equipment to tackle any exigency. "Our defence forces are ready to take on any eventuality," he said without making any specific reference to Doklam. A question was also asked about a CAG report which stated that the defence forces have ammunition that can last for 22 days in an event of a war, instead of the mandatory 40 days. Responding to this, the Defence Minister contended that significant progress has been made on this front thereafter, but did not elaborate. "Nobody should have a doubt on that," the Defence Minister asserted. In response to another question on the government's target to achieve indigenisation by 2022, Subhash Bhamre, minister of state in the Defence Ministry, said taking into consideration the next 15 years, the forces have a Long Term Integrated (LTI) perspective on this. Mr Jaitley also sought to allay fears of closure of ordnance defence factories, saying all these factories and defence PSUs are going to continue and no employee will be retrenched. "The core expertise of these ODFs (ordnance factories) is (manufacturing) ammunition and they will continue to do that," Mr Jaitely said.